Do you like music? 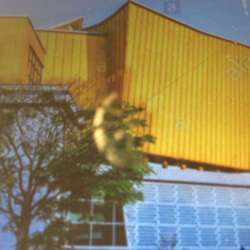 Every Tuesday there is a free Lunch Concert in the Foyer of the Berliner Philharmonie! This Tuesday the Philharmonisches Streichquartett will be playing a string quartet by Haydn, the so-called Emperor Quartet, as well as the a minor quartet by Franz Schubert, the ‘Rosamunde ‘. Hopefully some of you will be able to make it, even at short notice!